In this day of electronic media, there are many ways to learn and sharpen your skills without ever leaving the station. There are videos, blogs, Webinars, and Google searches just to name a few. So, why bother sending your fire department staff to a live symposium when the alternatives are easier on department budgets? At the Fire Apparatus Manufacturers’ Association (FAMA), we feel that there is still a great advantage to getting out of the box and being able to meet face to face, ask questions, shake hands, and learn from each other. This is the reason our member companies dedicate time and energy each year, partnering with the Fire Department Safety Officer Association (FDSOA) to bring you the Annual Fire Apparatus Maintenance and Specification Symposium. Networking: In-person events provide opportunities to exchange experiences and information. During breakout sessions, lunches, and networking time, new relationships with industry experts and other firefighters can be formed, and old relationships can be strengthened. New tools: Knowledge is power. There are a lot of tools out there that can improve your department’s efficiency and effectiveness. The key is knowing where to look. From presentations to vendor displays and whether asking your own questions or overhearing the conversation next to you, a live event is a rich source of power through education. Learning in a new space: Breaking out of the station and learning in a new space can free up time to focus on the job of learning. Being confined to the regular routine can make it very difficult to become inspired to see things in a new light. Breaking out of your comfort zone: Live events force us to break out of our comfort zone. The Apparatus Maintenance and Specification Symposium offers class sizes conducive to asking questions, making comments, and sharing experiences. Many of the presentations emphasize attendee participation. The energy of like-minded individuals: There’s nothing like being in a room of like-minded people to generate ideas and effective solutions. The situation promotes discussion with other people who are willing to take time away from the office to learn something new and to “better” themselves. When you sit in a classroom or auditorium, you discover that you’re not alone in wanting to improve your skills and bring something back to your office or organization. The 29th Annual Apparatus Specification and Maintenance Symposium returns to Orlando, Florida, in 2017 with a new lineup of educational presentations. The Symposium is a collection of presentations by industry experts covering a wide variety of apparatus and ambulance topics. 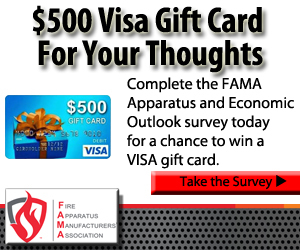 FAMA member companies will support the symposium with presenters, sponsors, and a product exposition. For the second year in a row, the Symposium will take place the same week as the FDSOA Annual Safety Forum. Attendees who wish to do so can spend Sunday through Wednesday at the Apparatus Maintenance and Specification Symposium and then round out the week at the Safety Forum. In addition to educational presentations, the Symposium includes interactive sessions where participants can seek answers to questions posed to apparatus engineers. Regular attendees know that they will be exposed to the latest in technology, safety, and maintenance best practices. First-time attendees will discover the only venue in the nation where fire apparatus and product engineers are gathered in an informal setting and are available for discussions on any topic. 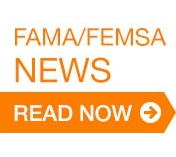 FAMA provides many resources for helping departments create safe and effective specifications. These tools will be explained and demonstrated. Participants will go home armed with the knowledge necessary to use these tools to make better decisions when specifying apparatus for their stations. Symposium planners attempt to provide a broad range of topics every year. Some of the basic topics planned for 2017 include: batteries and charging systems, apparatus suspensions, line-voltage power generation, scene lighting, winch applications, and equipment storage. Higher tech topics will include camera systems, advanced tires, and idle reduction technology. Aerial platform safety and two ambulance sessions will round out the afternoon sessions. The mornings will include presentations on apparatus safety, fleet maintenance experiences, and a keynote address. The National Fire Protection Association (NFPA) standards for both fire apparatus and ambulances changed this past year, and there will undoubtedly be feedback on the new apparatus and ambulance designs. Spirited discussions are inevitable, and the Symposium is a place where you can always hear both sides of a story. Bring your own experiences to share and provide your feedback to the apparatus designers tasked with making your new vehicles compliant. If you are a regular Symposium attendee, then you already know the benefits it can bring. If you have never attended before, please consider trying it out. If you are a chief, send a few of your crew with good note-taking skills, and we will do our best to send them home with new knowledge that will benefit your department. 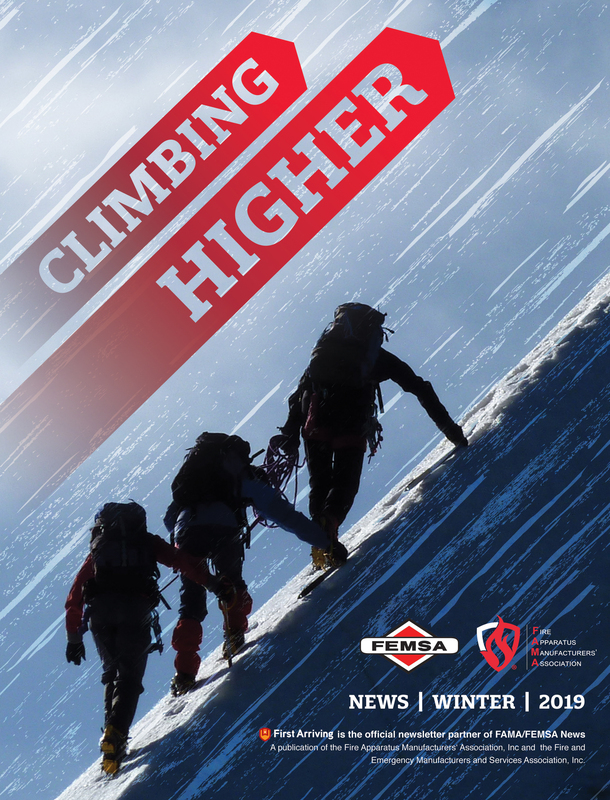 FAMA and the FDSOA have been partnering for many years to keep this event vibrant and relevant and are proud to be providing this opportunity for fire service staff to get out of the box and learn.